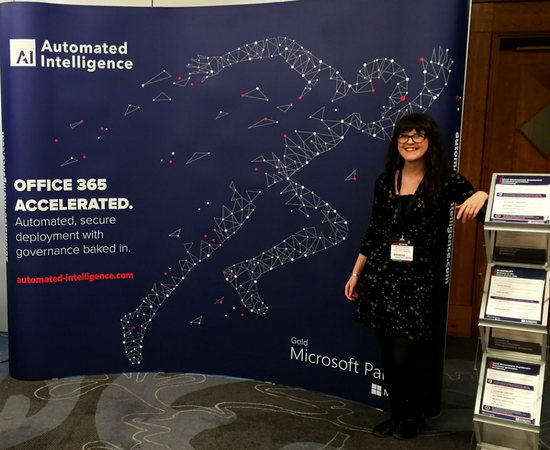 It was all but impossible to avoid talking about GDPR, and it filtered through into every conversation at IRMS 2018. You may have realised already…but GDPR comes into force this Friday 25th May and it marks a seismic shift not only for data management but for the way Information Managers work and handle data. Louise Byers from the ICO took to the stage in the opening keynote to discuss exactly this. She stressed, “The GDPR is not Y2K it’s an opportunity to rework how you interact with those who are most important to you” It is also important to remember that GDPR can be a boon and not a barrier. It’s not all about fines, after all. Trust building was the key topic of conversation in the GDPR panel discussion too. With Tim Pit-Payne, a leading barrister, stressing that it’s a badge of honour that companies should be pleased to earn. The key message behind everything, however, was that GDPR offers organisations a huge opportunity. Re-establishing trust with customers should be high in every organisation’s priorities, and GDPR gives you the tools to get trust right. It’s easy to talk about how important data is to an organisation. But the real value comes when you begin to turn the conversation towards how to unlock those insights. When it comes to efficient data management, it’s impossible to go forward without clear-cut policies and processes. Sue Lal described GDPR as a “Highway Code” for data protection and management. It gives a framework to build policies around. When it comes to digital disruption there’s none more divisive than blockchain technology. This method of encrypting data is either the best way to create a fraud-proof system for transacting exchanges or inherently problematic…depending on the stance you take. At IRMS 2018 there was an interesting debate as to whether the data encrypted using blockchain still counts as personal data as well as it’s compatibility with the GDPR. The overall consensus was that blockchain is the future, but it is incompatible with GDPR as it stands. We will just have to wait and see how this one plays out. It would be impossible to talk about key takeaways at IRMS 2018 and not mention SharePoint. It’s the lifeblood of most data transformation projects in the Information and Records Management sector, and for good reason. SharePoint, as part of the Office 365 suite, allows organisations to efficiently store and process their data holdings. Plus, with intelligent solutions like our Local Government Accelerator (which was launched at IRMS 2018) organisations can bake in additional retention and compliance capabilities.